Whichever area of Bournemouth you choose to live in, during your time at AUB, you will find that travelling around Bournemouth is very easy; there is an abundance of cycle paths available and there are regular bus services across the whole area. Within easy walking distance of the popular areas for student accommodation, AUB campus is also only 2.5 miles from the town centre. Bournemouth has a well-established cycle community, with cycle paths across the town making it easy for cyclists to travel. 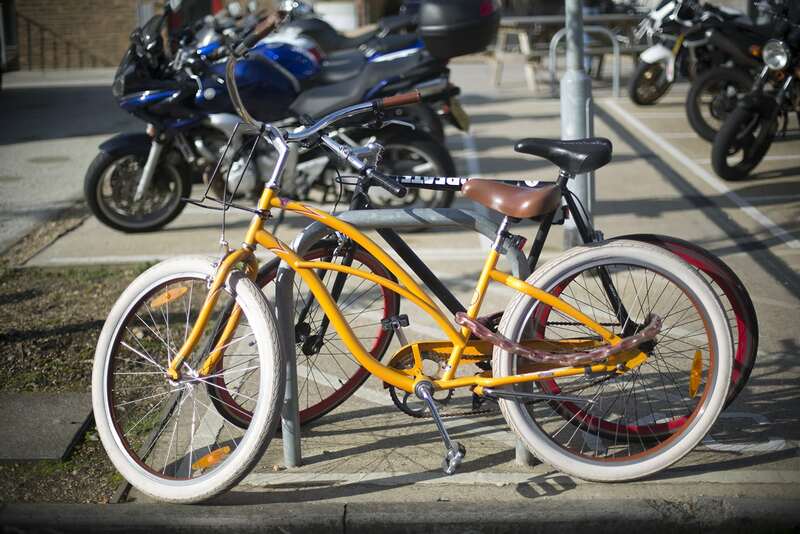 All AUB halls of residence and the AUB campus have access to bicycle storage – we recommend that you use a D-lock to secure your bicycle. The Universities Police Team offer free bicycle security marking and hold regular sessions on AUB campus for this. Hope2Cycle visit AUB on a monthly basis for discount bicycles and bicycle repairs. UNIBUS, Yellow Buses and More Buses provide services across the area. You can register for the “Key” smartcard here, and then collect the card from Student Services. This card can be used on any UNIBUS and you can top your card up on line at the same link. There is no student parking on AUB campus unless you are a Blue Badge holder. For further information on the Blue Badge scheme, please see here. There is no student parking at AUB halls of residence. Parking in the local areas is limited. Details of local car parks are available here. We strongly recommend that you do not bring a car with you to university.